Editor's note: We'd like you to meet Loren Siekman and Richie Daigle - co-owners of Trail to Table Tours. We sat down and spoke with them about their new collection of adventure culinary tours and what inspired them to create a tour company that blends multi-sport adventure and local food + drink experiences. Tell us a little about Pure Adventures: Trail to Table tours and your roles in the tour company? LOREN: Pure Adventures evolved in 2004 from another company that I started in 1994. 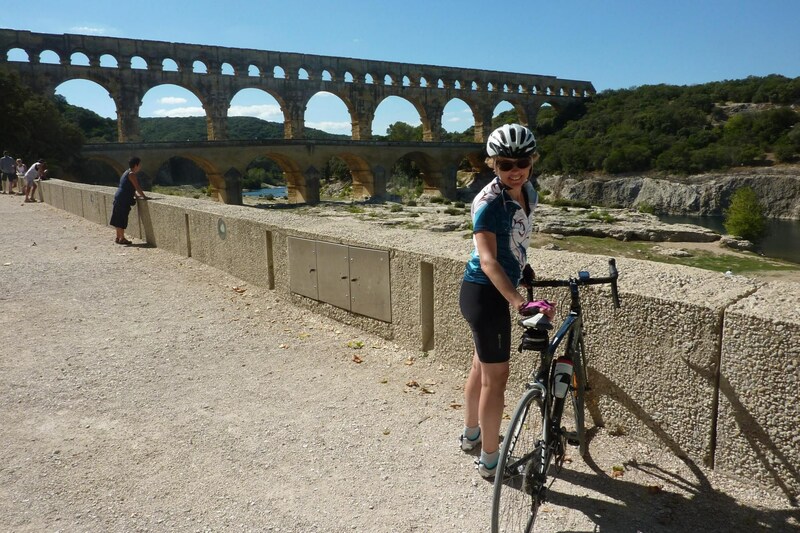 I started a company called Discover France Adventures, and we were only offering tours in France and it was just cycling adventures. In 2004, with the Iraq War and the fallout with France and the anti-French movement in the US, it was time to branch out … even though I probably should have branched out earlier. That's really what started Pure Adventures. Pure Adventures is all about adventures and it started in Europe. It is still primarily in Europe but we now also have products in South America, Southeast Asia, North America, and developing more in all those destinations all the time. 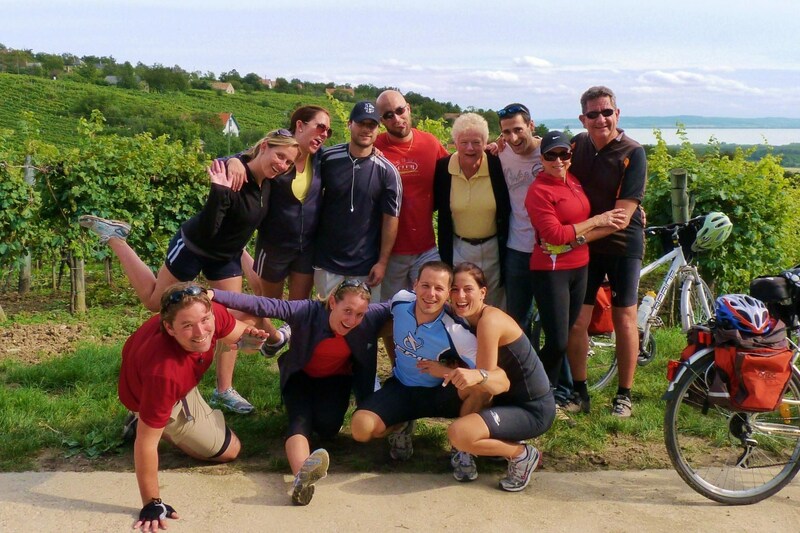 It's mainly been cycling tours, and we do hiking tours as well and we are getting into other multi-sport tours. Richie, Natalie (additional co-owner of Trail to Table), and I formed the brand Trail to Table. The focus is on culinary adventures. There are still adventure components obviously with our history; we've been doing adventure tours for a long time - we've been doing Europe for a very long time and we know it pretty well and we are pretty confident in that area. Richie and Natalie have slightly different backgrounds, working with different companies, lots of experience with big groups; also with a lot of experience with self-guided tours something that Pure Adventures does a lot of. Trail to Table is focused exclusively on guided, small group experiences - it's different and it's similar all at the same time. In a nutshell, that's a little bit about Pure Adventures and very little about myself. My role is primarily to run the company and develop a lot of product. Richie, Natalie, and I spend a lot of time developing Trail to Table and together we are combining efforts on the marketing side. To leverage what Pure Adventures has to help to grow the Trail to Table side of the business. Can you tell us how you go about putting a Trail to Table tour itinerary together? A little bit about the process that goes into it. RICHIE: Not only have Loren and I been apart of adventure travel for some time - especially Loren. We really knew what we wanted for the Trail to Table collection. We started rehashing the best of the best from client feedback. The positive aspects of a trip that we hear about a lot from our past clients. We were able to dig through a ton of past client feedback. We started seeing some themes — people like food, they like adventure, they like authenticity, they like nice accommodations. We started taking all of this client feedback and said, “What if we started using this as a base to start rebuilding trips and building new tours? To really enhance somebody's experience.” With these trips, we're not dipping your toes into a culture; you're getting fully immersed. You're getting immersed through your adventure, and you're getting immersed through the experiences, the relationships you form with the guides, the food, even the accommodations — they all have a story — they are all worth a story once you get home. We wanted to make every aspect of these trips story worthy. That's the criteria when choosing different destinations, hotels, etc. — everything is worth its own story. We partnered with some of the best local outfitters in the world. Some people we have relationships with already and we went to them and said, “Here's our vision, let's put together something special!” It's very much a local feel. Going on one of these trips - you might go out to dinner with the guide and it's not necessarily just a nice restaurant. It is more like being invited to somebody's backyard barbecue and it just so happens that their friend hosting the barbecue might also be a Michelin star chef in training. The atmosphere and experiences you're going to have are going to be community-based in that sense. In building a trip itinerary - does it start with the destination? Or does it start with a specific experience and then you look for a destination that offers that experience? Or is it a combination of both? RICHIE: It's a combination of both, but it also speaks to people. Who are the people that we know and really like in the industry? The people that we partner with, the guides that you have on these trips are people that if you had to pick anybody in the world to be stuck in a car with for a cross-country trip you would want to it to be these people! They are fascinating — just wonderful folks! It’s the combination of people and also what the specific destination has to offer. All of that wrapped up. It was kind of obvious to us why we were going to the destinations that we chose - it made sense. 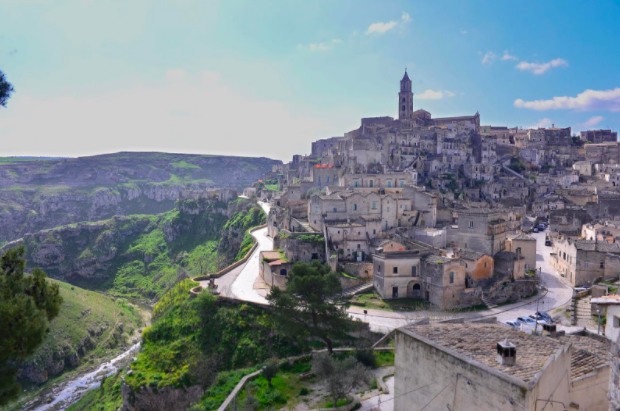 It happened very naturally - why we picked these destinations and put these trip itineraries together. If you had to describe your Trail to Table tours in three words, what would they be? LOREN: The first word that comes to mind is authenticity - it sounds a little cliche but that's really at the heart of things. That word means a lot to me. We are trying to get experiences that are genuine and authentic. Since we have relationships and history we are able to say those things. Maybe there's a better word that doesn't sound so cliche but that's the first thing that came to my mind. What about you Richie? RICHIE: Authenticity is the cornerstone of our tours. Everything stems from that. From the people, you're around, to the people you're having your meals with, the accommodations, the landscapes you're traveling through and how you experience those landscapes. Immersed, would be another word. Like I said before you're not just dipping your toes into a place or into a culture - you are not just passing through a culture and looking at it through a bus window and going to all the tourist spots and getting the t-shirt and the coffee mug. You are really getting immersed in the culture and meeting the local people and going to places that are off the beaten path. Immersive, authentic and delicious! 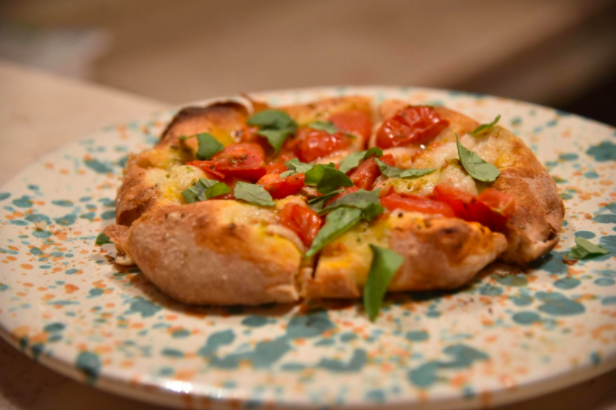 Everything from the food, the wine, to the home-cooked meals! 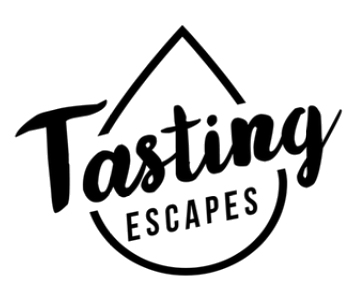 You are going to enjoy wine from places that you probably couldn't get wine otherwise, from family vineyards - a lot of liquid history to be found throughout these tours! LOREN: Educational as well even though it's not a classroom style tour - you're going to learn a lot about wine and food and how it's done differently. 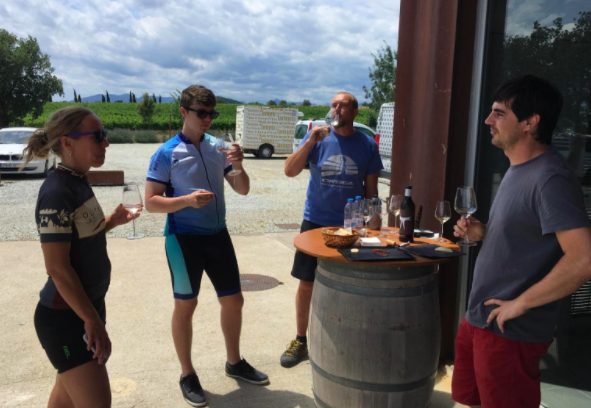 You'll find yourself sitting around drinking wine with a local; maybe his or her product and they're going to tell you the local history behind it. You are definitely going to learn something new. 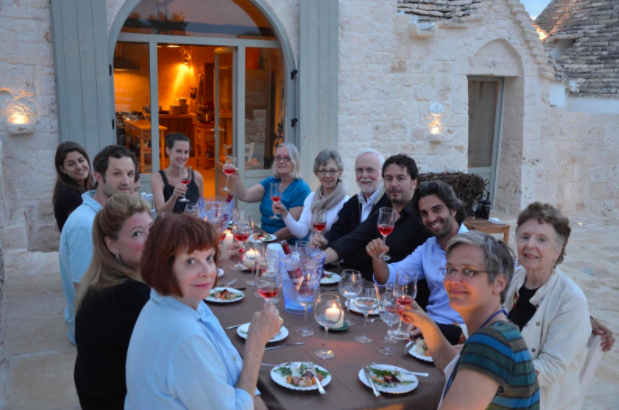 What differentiates the Trail to Table tours from other culinary tours out on the market? RICHIE: It's hard to speak to competition - since there's a lot of it and there's even some out there that we don't even know about. One differentiator is that we're doing everything on a small scale. The relationship aspect is really important to us. For example, in Hungary, you're going to be with a guide that's friends with the chef and when I say friends — I mean it — they really have history and go way back — they are extremely close and hang out together outside of these trips. The experiences that you have on a Trail to Table tour are not going to be like any other experience that you have if you were to travel to that same place on your own. Since we have those relationships it makes it really authentic and it's something that's extremely important to us. I'm not saying that we are the most authentic tours in the world — it's hard to say that — but we are aiming to be as authentic as possible. 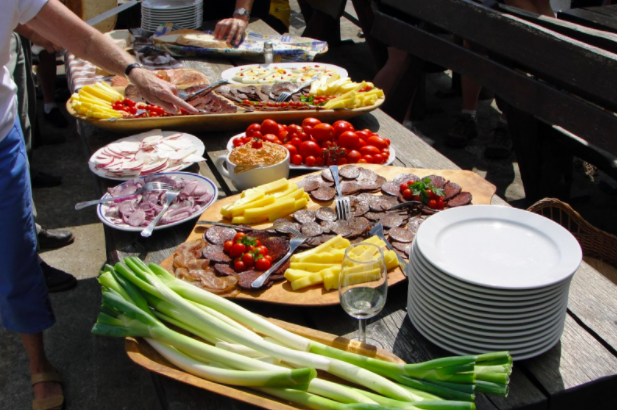 What should guests expect when they come on a Trail to Table tour? RICHIE: It's a hard question because we want people to be an open book when they come on our tours. I think the expectation there would be - whatever their expectations are that the trip, in reality, is way more than that. They should expect to leave that trip somewhat changed as a person. They will go home with not just a few new recipes, not just experiences about wines but they're going to have stories. They should expect to go home with stories that will stick with them for their lifetime. And those stories we would like to think somehow changed them. We want these trips to enhance their lives once they're back home. It's not just escaping your problems and running away from your 9 to 5 job - when you were going on one of these Trail to Table trips it's a benefit, a benefit to your life as a whole. There is a lot that you'll take away from these tours. What is your favorite part of running a tour company? LOREN: Honestly, my favorite part which I actually don't do a lot of anymore is traveling. Traveling to places and meeting with local people and spending time out in the field. As you grow and get bigger, you spend more time doing HR, paperwork, and marketing and dealing with computers. Clearly, we're all in this business to go places, meet people, and see different things and it's still the number one motivator for me. RICHIE: Yeah, it's the same for me! I love traveling. This is why we're in this industry. What I really like is the relationships that are made throughout this entire industry both on the side of meeting with the people that run these trips, the guides, the people on the ground and the relationships that we form. Those relationships mean a lot to me but also the relationships that we make with clients ... especially repeat clients! Getting to hear about their trips, see their feedback, their photos and hear their stories. The relationships on both ends are really key and important - both very meaningful! Do you see a lot of repeat clients? LOREN: We do actually. We have a very high traveler repeat factor. Somewhere around 30% to 40% of our clients repeat every year. Can you tell us a little bit about the demographic that normally travels on a Trail to Table tour? LOREN: Most of our volume is overseas - outside the US. Though we sell to people outside the US - we have quite a few Canadian clients; a respectful number of Australians, South Africans and “Kiwis”. But we primarily work with the US and Canadian market. Most of our trips are outside North America and therefore the demographic tends to be for people that want to travel overseas and have the means financially and have the worldview to want to go out and explore different places around the world. It tends to be people between 45 - 65 years old, with a college degree or advanced post-graduate degree. We also typically see couples. Their kids are normally grown and they can travel without their kids. This is our typical demographic for the overseas traveler. Lastly, do you have a specific tour itinerary that is your favorite? RICHIE: My wife and I spent our honeymoon in Sardinia, Italy. Our honeymoon trip was very similar to our Trail to Table tour we run so we'll always have a special place in our heart for Sardinia! We are traveling to Hungary this year and we are really excited about doing that trip. Hungary is just fascinating. I think Hungary is really one of Europe’s best-kept secrets. Really, all of our destinations are fantastic and all of our trip itineraries are special in their own way. We are happy with how unique they all are. LOREN: My favorite tour is whichever one I went on last! Whenever I come back from a trip - I’m just so excited and it’s always an awesome time. I just came back from Spain, I’ve been there many times and this was my first time going to Andalucia and I was just blown away. We don’t have a Trail to Table Tour there just yet. I traveled to France for so many years, I used to live in Paris and I speak French so I’m kinda partial to our France tours. Croatia is also amazing and very up and coming. I like Hungary as well; like Richie said it’s lesser known which makes it really great to visit right now. Sorry, I can’t really pick just one!